Probably the most infamous one time resident of Ballinrobe in recent history was William Joyce - 'Lord Haw Haw'. Joyce was born in Brooklyn, New York on 24th April 1906 to an Irish father and English mother. His father was Michael Francis Joyce born in Co. Mayo in 1868. His mother was Gertrude Brooke, born in 1879 at Crompton, Lancashire. In 1909 Michael Joyce who had prospered in New York returned to Mayo, followed shortly by his wife and 3 yr old son. Despite his wife's disapproval he ran a pub in Ballinrobe. 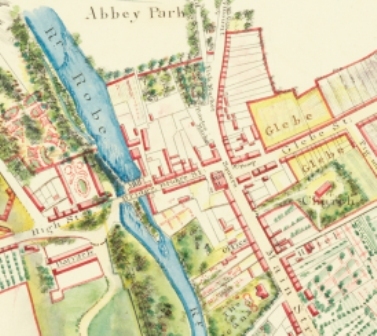 In 1913 the Joyces moved to Galway City where Michael acquired property, including a barracks occupied by the Royal Irish Constabulary; the family living at 1 Rutledge Terrace, Rockbarton, Salthill. Although only 10 years of age at the time of the Easter Rising, young William became an informer for the British forces, (easier for a child to eavesdrop or follow someone); the Joyces being fervent supporters of the Crown. It was later said that William 'ran with the tans'. In December 1921 when the Anglo/Irish treaty was signed, people like the Joyces were fearful of retaliation from Nationalists, now their protectors and were leaving the country. William left that same month, his parents 2 years later. William joined the British army lying about his age when only 16, later passing exams at the Officer Training Corps at Birkbeck College. He then became involved in politics with a Fascist group, later forming his own party. In August 1939 shortly before war was declared, Joyce and his 2nd wife fled to Germany, being tipped off that the British authorities were about to detain him for being a Nazi sympathiser. Joyce found employment in Berlin script writing for Germany’s English-speaking radio service, later becoming a broadcaster on a programme named 'Germany Calling'; spewing out Nazi propaganda. 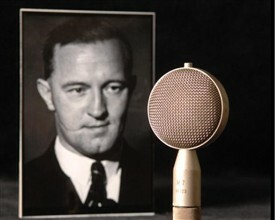 He became known as 'Lord Haw Haw' as other English speaking announcers had but the name stuck with Joyce. It was reported the radio show had 6 million regular listeners in the UK. As Germany crumbled in 1945, Joyce tried to escape to Sweden but was arrested near the German/Danish border. After being brought back to London, he was charged with high treason, found guilty and executed at Wandsworth prison on January 3rd 1946. Joyce's remains were buried in an unmarked grave inside the walls of HMP Wandsworth. In 1976 they were exhumed and reinterred in the new cemetery Bohermore Galway; 30 miles from Ballinrobe. Query: Anybody know the pub in question? This page was added by Bernard Joyce on 17/02/2014.